One year on from the release of Nick Broomfield’s Whitney: Can I Be Me, Kevin MacDonald’s Whitney proves that there is always room for another documentary on the pop music icon. With access to close family and friends, MacDonald’s emotional documentary seeks to unearth just how one of the world’s greatest singers came to such a tragic end. Opening with the dance-inducing How Will I Know, MacDonald splices the music video with a TV interview featuring Houston, in which she explains that she’s been running from the devil all of her life. This sound bite immediately sets the tone, with MacDonald showing he’s not going to let us forget that this is a story with an unhappy ending. 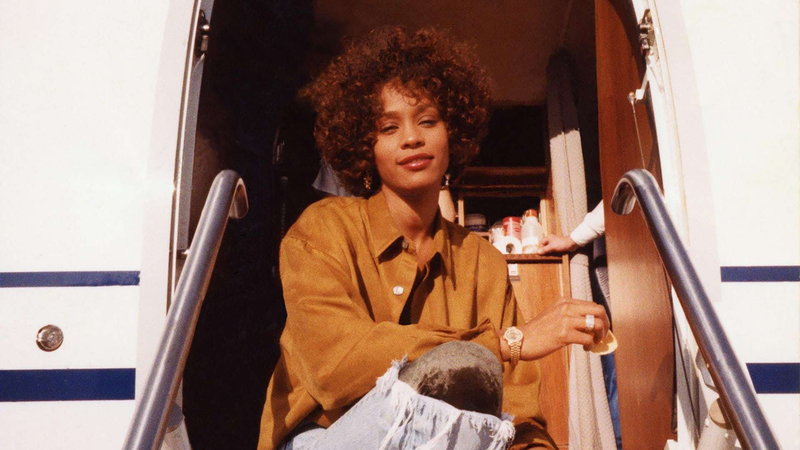 We journey through Whitney’s early years growing up in Newark in the shadow of her singer-mother Cissy, playing with her brothers and developing her voice before her breakout in the late 1980s. In archive interviews, Houston reveals that she was called “Nippy’ by her family, not Whitney (a name her mother took from a 1960s sitcom). These two names formed her public and private personalities, a theme MacDonald picks up on throughout the film, showing that this fractured identity played its part in her suffering. Her mother Cissy opens the series of talking heads interviews. She’s happy to discuss her daughter’s happiest years, honing Whitney’s craft in gospel choirs. However, that’s where it ends, with her remaining absent for the rest of the film. Other members of the Houston clan discuss the rest of her life, including her candid brother Michael, as well as family friends and colleagues. There is a defensive quality to their answers, although MacDonald makes sure to push his questions through – even if it leads him nowhere. There’s problematic moment is an interview with Houston’s ex-husband, Bobby Brown, who when asked if he is willing to discuss Houston’s relationships with drugs clams up (“That’s not what this film is about”). He doesn’t feature again after this point. We get the feeling that not all of the interviews that MacDonald conducted went well. He does his utmost to paint as full a portrait as he can within the limits of the film’s production. We’re often reminded that, whilst MacDonald has the families blessing to make the doc, they will still fiercely protect Houston’s image, refusing to discuss specific aspects of the singer’s life. Then, at the 90-minute mark, MacDonald drops a bombshell when it’s alleged that Houston was molested by her aunt, Dee-Dee Warwick, sister of soul legend Dionne. This shocking revelation is shown to be the reason for the struggles the singer faced throughout her life. MacDonald offers up some stylistic flourishes with montages of news footage of Princess Di’s wedding or the first Gulf War, which helps shape the film’s timeline. Thankfully, the film also employs comedy to lighten the mood, using a BBC news story about a neighbourhood feud in middle England where a woman was sentenced to a week in prison for loudly playing smash hit I Will Always Love You on repeat for days. Like Marley, MacDonald’s Whitney is compellingly told with compassion and style, showing just how great a gift Houston was blessed with, but also the demons that pursued her all her life to its tragic end.